Looking at the server error logs through Console.app, the following was occuring every 10 seconds.. The slapd daemon appeared not to be starting. Jumping to the command line, I tested the configuration using the `slapd -Tt` command. With a little research, I concluded that.. The OpenLDAP database had been corrupted, and.. The `slapd_db_recover` tool (as present on some Linux installations) is instead named `db_recover`. Ah! 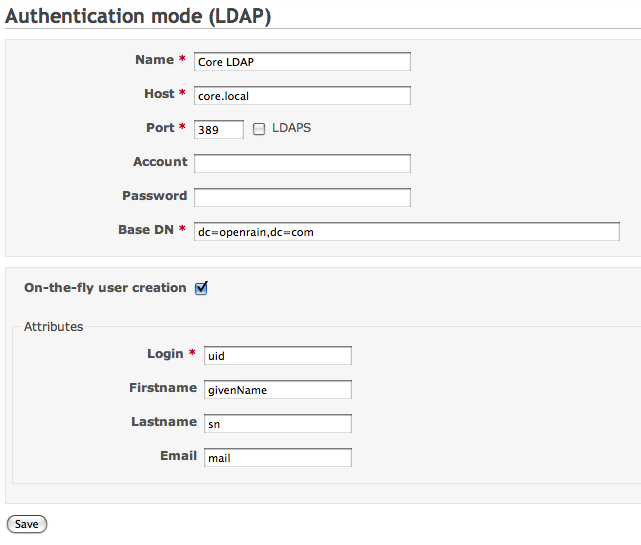 After carefully backing up the /var/db/openldap folder, I ran the recovery tool and re-tested the configuration.. The errors in Console.app stopped, and the Server Admin.app panel started reporting.. I had to restart the AFP, iChat and Web services on the machine to get everything working again, but all seems well now.